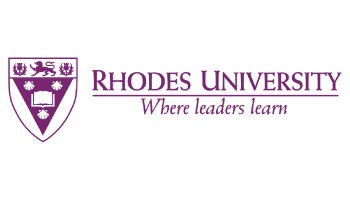 The Department of Management at Rhodes University will host an International Symposium from 31 October to 1 November 2013 at the Centre for Continuing Education to discuss China in Africa: implications for management, implications for change. “Chinese presence in Africa is changing things. Trade between China and Africa will reach $385 billion by 2015. Yet little research and collective knowledge exists at organisational and community levels,” says Professor Lynette Louw, Deputy Dean of the Faculty of Commerce. The International Symposium is organised as part of Sandisa Imbewu Fund (We are growing/multiplying our seeds) to investigate “Chinese Organisations in sub-Saharan Africa: New Dynamics, New Synergies”. Prof Louw is the project leader of the Sandisa Imbewu Project in the Department of Management, in collaboration with international scholars. Investigate the nature of Chinese organisational activity and its implications for Africa’s economic, social and community development. “Mostly, African governments welcome Chinese presence. But what happens at management level? How are Chinese organisations run? Do they simply compete with Western firms on costs? Do they compete with African firms on the basis of expertise? What are they bringing to communities? What is their impact on the local job market? How are they working with local firms?” these are some of the questions that will be explored at the symposium. The symposium sets out to answer these and other questions through presenting research. “It brings together on-going research on these issues from different African contexts,” says Prof Louw. “It seeks to explore and develop those partnerships among various stakeholders, to discuss implications and what is needed, and to action these,” adds Prof Louw. At the end of the symposium, there are a number of expected outcomes with academic, policy and practitioner implications. Prof Louw says they are aiming to publish an edited book, as part of the project that will have a major impact on scholarship, policy and practice within the Sub-Saharan African context. “This book will provide accessible reports of research conducted in specific countries and across countries, and include academic partners in Africa and China. It will also provide case studies, including those provided by policy and practitioner partners and chapters on implications for policy and practice,” says Prof Louw. The Sandisa Imbewu Fund is an internal grant from the Rhodes University Foundation, which is intended to provide seed funding to support strategic new academic and research initiatives at Rhodes. Following the recommendation by Rhodes University’s Vice-Chancellor Dr Saleem Badat to establish a seed fund for strategic new academic initiatives, the Rhodes University Board of Governors with the support of the University Council endorsed the creation of the Sandisa Imbweu Fund in November 2010. In 2011 nine out of 30 project proposals submitted by Rhodes University academics were selected for funding to the value of R12.5 million collectively over the next five years.